I have been advising CPA firms on mentoring programs for nearly 20 years. Yes, mentoring has changed and evolved greatly over that time period. I will be updating some of you next week at the AICPA PSTECH Symposium in Las Vegas. Here are some highlights, just in case you won’t be there! Maybe it is time to update your mentoring program. Times are changing and so has mentoring. Human resource programming that can help you attract and retain key employees. If you are a long-time attendee, this year bring a younger partner or team member with you to the conference. With two or more attendees from your firm you will have great momentum when you return to the office. I will be speaking on why Mentoring Matters. Mentoring is key in retaining top talent. Today’s new hire was raised in a culture of mentoring and positive reinforcement. Surveys tell us they will be looking to your firm to provide this same focused attention. Everyone benefits from mentoring! 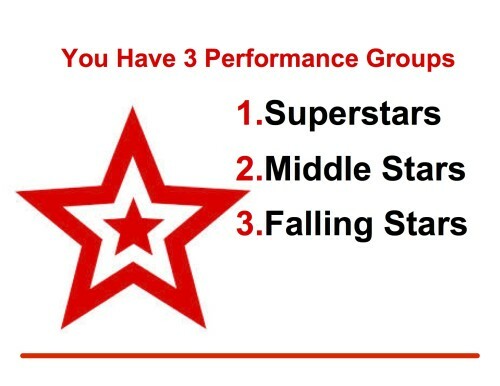 Learn what you can do to keep your top performers. I would love to meet you. Seek me out during the conference – I’ll be mingling at all the receptions. My mentor said, 'Let's go do it,' not 'You go do it.' How powerful when someone says 'Let's! Lynne Doughtie is the Chairman and CEO of KPMG. After 30 years at KPMG she made history by becoming the first female CEO last year. It is also important to note that Cathy Engelbert became the first female CEO of Deliotte earlier in 2015. Recently Doughtie (who is apparently a charming and down-to-earth person), shared some advice for women and employers about how the mindset has to change about females breaking through to reach senior positions in their careers. Want to learn more about mentors and sponsors? Join me at my session at AICPA Practitioners Symposium and Tech+ Conference in June in Vegas. There are some recent reports that tell us that many young CPA professionals do not possess many of the skills necessary to carry them into the future. 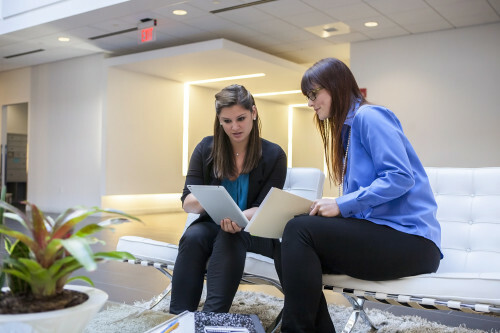 Some recent studies (such as some done by the Maryland Association of CPAs) hint at an emerging crisis because of a significant gap between the skills young professionals need to succeed and those they actually possess. Take some time to assess if this list is valid with your own young professionals. Read much more on this topic here. I have talked about, written about and helped firms implement mentoring programs for years. Still, I am receiving lots of feedback about the lack of dedicated mentoring inside CPA firms. I contend that mentoring is the foundation of the CPA profession. An older, more experienced accountant guides and teaches a younger, less-experienced accountant. It has been going on for decades. It is how young CPAs have always learned their trade. Take that basic approach and incorporate more recognition, honest feedback, skilled listening and career advice and you have a mentoring program. Engaging and retaining talent is a hot topic for the accounting profession. Mentoring can be an important tool. Experienced CPAs question me…. Where do we meet? How often do we meet? What exactly do I say? What do they expect of me? It will take too much time…. on and on. This is mostly a repeat of a previous post from January 2014. At this time, I feel it is worth repeating! People with the title of “manager” working inside CPA firms usually are not doing what a “manager” should be doing. Just like many partners, managers get very comfortable actually DOING the work rather than carrying out manager level responsibilities and activities. Managers play a key role in employee engagement and retention. Remember, people leave bosses not firms. I once asked a group of CPA firm owners to give me their expectations of a person in the manager role and to keep it very simple. I think the following bullet point job description says it clearly and concisely. How do your managers stack-up? Addendum for 2016: So many partners declare they have no one who can replace them when they retire. If you want succession to work at your firm you must work with your managers on these key traits. Developing people is a key characteristic of a competent partner. All of these are very good things. However, most employees want to hear the “real” story. They want the truth and they want to clearly understand what an employer expects of them. So, rather than holding back in important meetings and discussions, give them a straight answer. In many CPA firm meetings, partners (and others) are so busy trying to be nice that the team members don’t really understand what they are trying to say. CPA firm leaders – don’t be afraid of hurting people’s feelings. Practice being more direct in your communication style. Let them know what needs to be done. Then provide the advice and direction in accomplishing the task. Once again, busy season is approaching for thousands of accounting firms. Workload compression has been a huge issue for accounting firms for years. Thus, managers often complain that they don’t have time to get all of their work completed AND train all of the new people joining the firm. Partners often point the finger at managers and blame them for a poorly equipped staff that makes too many mistakes. My observation is that most CPA firm managers do not know how to manage, train and inspire their subordinates. It’s not their fault! Firm leaders have failed to invest in training for the managers – on, guess what? How to manage! The year is almost gone, you haven’t invested in your managers’ education when it comes to building relationships and nurturing people, it’s not too late. Rally your managers and have your own internal management training session. I know you have at least one person in your firm (partner or manager) who is a natural at it. Have them lead a discussion/training session based on their own success story. It is as simple as clearly communicating the expectations you have for your managers. Most managers are focused on their own productivity… meeting billable hour goals and getting the work out the door. Keep in mind that the partners’ internal succession plan depends on how well their managers perform. Check-in With Your Team – How Are They Doing With Their Goals? Before CPAs became so unrealistically busy in the late summer and fall, they used to use September as the month to touch base on goals. Most firms used the cycle of formal, more comprehensive performance feedback in June and set goals for the coming year to begin July 1. Then in late September or early October, individual face-to-face conversations happened to see how progress was being made, what didn’t seem so important any more and re-align goals for the remainder of the fall and early winter. Hopefully, you have replaced this method with simplified, direct feedback more often, mentoring conversations on-going and fewer goals with shorter timelines. Even though you have multiple priorities, your people should be at the top of the list. How are they doing? Talk with them soon about their goals for the next 3 months and be sure that you always include some stretch-goals for individuals. In this time of talent shortage, it’s time to ask your current all-stars and middle-stars to STRETCH and fill the void in the all-star category! Yes, I wish job descriptions were not necessary inside CPA firms. But, it’s hard for me to visualize. I was recently reading a post by Leadership Freak (you should follow him on Twitter), that gave some great reasons not to give a new hire a job description. The example, an employer, hired a new person and didn’t give them a job description. They are writing their own. The new person has goals and responsibilities but he is writing the details himself. The boss and employee meet every week to track progress and set the path forward. Read the post for yourself and see if you can see the two problems I see. # 1 – Surveys tells us that young accountants want to know there is a career path for them and exactly what is expected of them. You need to paint a picture (with words) of where they are going and how they are going to get there. # 2 – Notice the sentence: The boss and employee meet every week to track progress and set the path forward. Number 2 is the clincher. Are your partners and managers meeting every week with the people they supervise to track progress and set the path forward? I see very little of this happening. I do see lots of questions being answered and lots of general direction being given but not the “progress and path forward” types of conversations that need to happen more frequently. Set a goal this fall to practice your mentoring on a weekly basis – just until December 31. See if it becomes a habit!